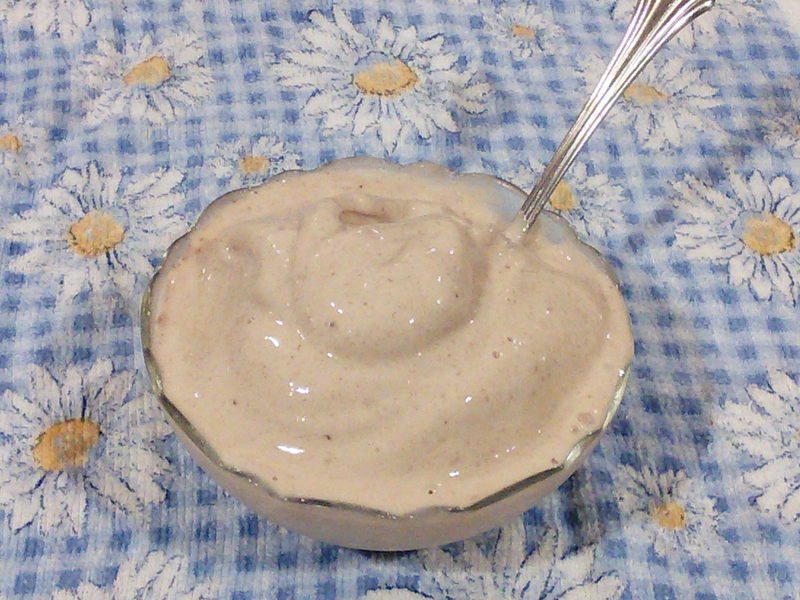 Banana ice cream is too good! I always keep at least a couple bananas in my freezer for smoothies and ice creams. The original recipe includes cinnamon and vanilla, but I kick it up a notch in the version I make because I really like the flavor it adds to the banana. I want CinnamonVanillaBanana ice cream, not “banana ice cream with some cinnamon and vanilla”! I found this recipe on the Forks Over Knives website. Toss all ingredients in a blender. Blend until the ingredients mix together. If they are being stubborn, smoosh them down with a spoon until it’s well-blended. That’s it! You can see it’s a little melty in these pictures because I took the photo right after it came out of the blender. If you want a more solid consistency, pop it back in the freezer for 30 minutes or longer to harden it back up. In the second picture I’ve added dark chocolate balsamic as a topping! 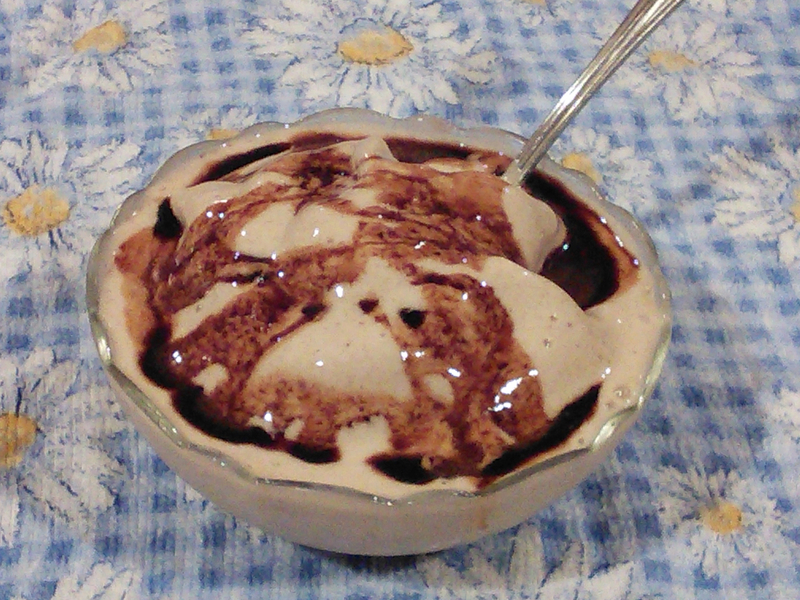 In the original recipe, the author includes a narrative note that chocolate balsamic is a good topping. It sounded crazy to me, but it’s actually really good. Don’t add as much as I did, though. It has a very strong, distinct flavor, and it’s overly sweet if you eat too much of it. I’d use about half of what you see in the picture below if you’re adding this as a topping. I never thought of cinnamon. Great post! Are you looking for a particular ingredient or recipe?